CHITTAGONG: Police arrested two persons, the supplier of firearms used in the murder of SP Babul Akter’s wife Mahmuda Akter Mitu and his accomplice, from the port city on Monday night. The arrestees were identified as Ehteshamul Hoque alias Haniful Hoque alias Bhola, 41, of the city’s Bakolia area and his aide Monir Hossain, 28, of the same area. Chittagong Metropolitan Police (CMP) Additional Commissioner (Crime and Operation) Devdas Bhattacharya said detained Wasim and Anwar collected the firearms from Bhola and returned them to him after completion of the killing mission. On a tip-off, police arrested Bhola from Rajakhali area in Bakolia at around 10:30pm, he said. During primary interrogation, Bhola confessed to supplying the firearms to Wasim and Anwar. Later, he kept the firearms with his close accomplice Monir. Police arrested Monir from his residence at Rajakhali Road at around 4:45pm and recovered a foreign pistol, a local revolver, six rounds of bullet and a magazine, said the additional commissioner. Bhola said Wasim and mastermind Musa took the firearms from him on June 4 for killing Mitu. They also returned the firearms around 9:30am the following day. Bhola will be taken on remand for interrogation to unearth the motive and identify main person behind the killing, he added. Bhola is a notorious criminal of Bakolia area and accused in at least 16 murder and explosives cases under public and special power acts. Asked about political identity of Bhola, officer in-charge Abul Mansur of Bakolia police station said Bhola was involved with politics of Juba Dal. As Awami League assumed power, he turned out to be an activist of Swechchhasebak League. But, actually he is nobody of AL associate body, said the OC. Bhola was shown arrested in Mitu murder case and an arms case filed with Bakolia police station, but Monir was shown arrested only in the arms case. Police produced them before court with 10-day remand prayer in the two cases. The court sent them to jail and hearing on the remand prayers will be held later, said Additional Deputy Commissioner (ADC-Prosecution) Nirmalendu Bikash Chakrabartya. 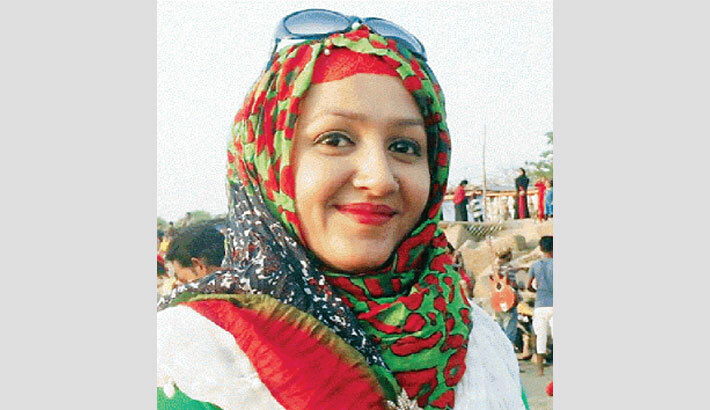 A total of five persons have so far been arrested in the sensational Mitu murder case. Of the arrestees, Wasim and Anwar made confessional statement under section 164 on Saturday. However, police didn’t find involvement of other two arrested accused — Abu Nasar Gunnu and Shah Jaman Robin — in the killing. Miscreants chopped and shot Mitu to death while she was escorting her son to his school bus at GEC intersection near her residence at OR Nizam Road on June 5.